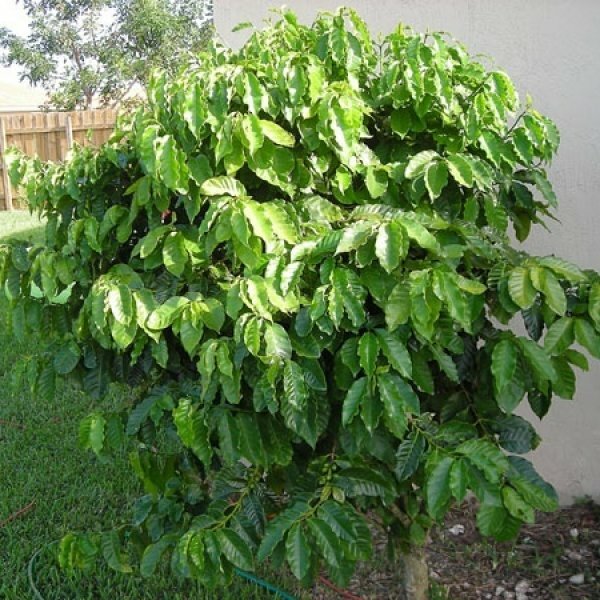 Arabian or Arabica coffee is a lovely upright evergreen shrub with graceful gray-barked branches, fragrant white flowers and fruits (drupes) that yield some of the best coffee for drinking. Native to Ethiopia but now cultivated in wooded, high-altitude plantations throughout the tropics, Arabica coffee is by far the most economically important of all coffees, accounting for as much as 80 percent of all coffee grown worldwide. Coffea arabica has been long cultivated and enjoyed by a variety of cultures. 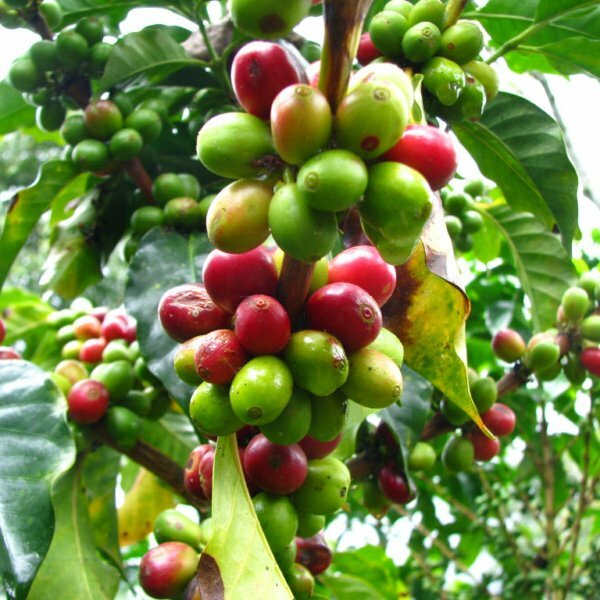 Early Ethiopians chewed the leaves and fruits to dispel fatigue. 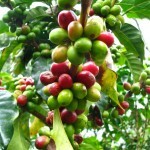 Coffee reached the Arab world by the 14th century and Europe by the 17th century. The Arabs protected their trade commodity closely, but the Dutch were able to secure seeds and start their own plantations in the East Indies. From then on it became a favorite drink throughout the western world and beyond. 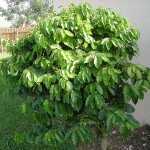 The handsome, glossy, dark-green leaves of coffee shrubs are oval and often have wavy edges. 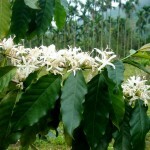 The most flowers are produced in the wet season, usually in spring, and a lighter flush may be produced again in drier seasons. The small, white starry flowers are bee-pollinated and give rise to coffee beans, which are actually drupes and not true beans. The green fruits mature to red or purple. It is at this time they are harvested. Post-harvest, the outer flesh of the fruits (sometimes called "cherries") are removed to reveal tan “beans.” These are then dried and the outer hulls cracked and removed and the inner beans roasted. 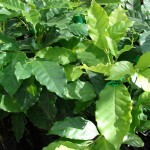 Coffee can be roasted in various ways, from light to dark, which helps define the flavor and color of the final product. Germination Soak coffee beans for 24 hours in a bowl of warm water. Plant one seed per section of a seed tray that is at least 1-1/2 inches deep. Use moist vermiculite or sand, available at nursery or garden centers. Plant the seeds just below the surface. Seeds requires light for germination, so cover with plastic wrap and continue to keep the soil moist, but not saturated. Place it in an area with indirect light and that is at room temperature. 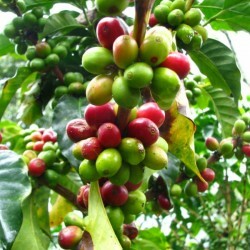 Check the seeds for germination in two months; however, it can take up to six months for coffee beans to sprout. Once seeds germinate, they are ready to plant in their own pots.